In a few separate articles we’ve examined a couple different technologies that allow nano- and micro-scale 3D printing. Most 3D printers operate with fidelity that’s measured in micrometers (microns), which presents thousands of applications, from prototyping to functional end products. 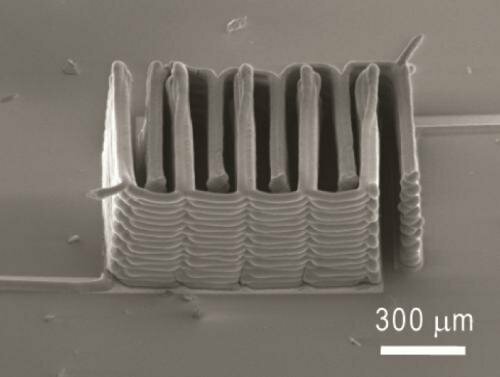 But nanoprinting requires nanometer-level precision, where objects may be only a few micrometers long/wide/high. The range of applications widens as the scale of 3D printing expands, larger or smaller. With large-scale 3D printing, the realm of possibility is fairly obvious: cars, houses, planes, and spaceships will all be printed in the near term. As 3D printing technologies shrink, however, what all becomes possible is more difficult to fathom; it certainly can’t fit into a single sentence. To offer a glimpse into the future of nanoprinting, I’ve listed below some of the capabilities of a few of the current systems that are already in production and being researched. Click the titles for more details. 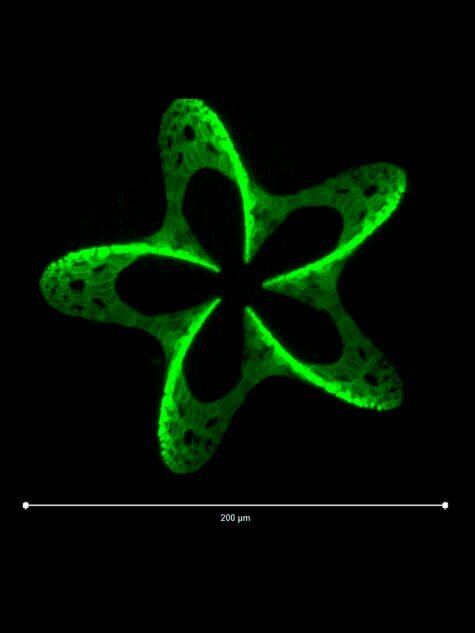 Professor Jürgen Stampfl’s materials science team and Professor Robert Liska’s research group for macromolecular chemistry, both out of Vienna University of Technology, collaborated to develop this method of 3D printing. Starting with a hydrogel scaffold, the team introduces specific molecules into the substrate and then beams a laser where they want the molecules to go; the laser creates a point where a photochemically labile bond is broken, and the molecules attach to the highly reactive intermediates that are created. The resolution potential is dependent on the lens system, but precision of 4 micrometers was obtained by the team. By depositing lithium metal oxides through a 30-micrometer nozzle, the team produced functional lithium-ion batteries the size of a grain of salt. The same technology could be used to fabricate micro circuitry for advanced sensors, computers, and robotics. The company has now developed an optional upgrade for their systems that increases the height capabilities. 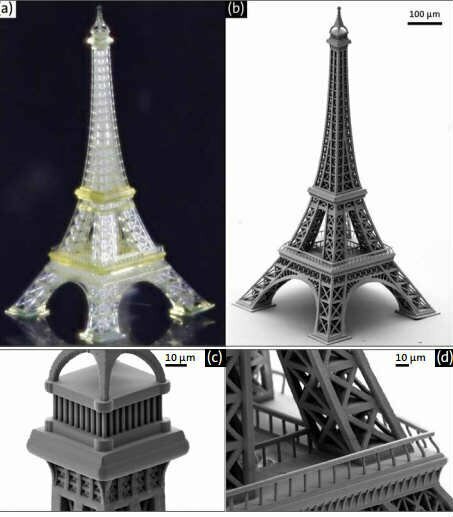 Now objects with theoretically unlimited height can be produced with the same fidelity, like this Eiffel Tower that’s a mere millimeter tall. Chad Mirkin, director of Northwestern University’s International Institute for Nanotechnology in Evanston, Ill, has dedicated research time to developing more affordable nanoprinting technologies. Beam-pen lithography is the third type of pen nanofabrication that Mirkin has developed, and it’s the fastest and (possibly) most affordable yet. The process involves shining an ultraviolet light at an array of thousands of tiny mirrors that direct the light into a field of gold-plated pyramids; the pyramids are each 30 microns wide and 20 microns tall, and their tips open to a 100-nanometer aperture. The pyramids serve as funnels for the light, thus creating thousands of ultra-thin beams that hit a vat of light-sensitive resists. 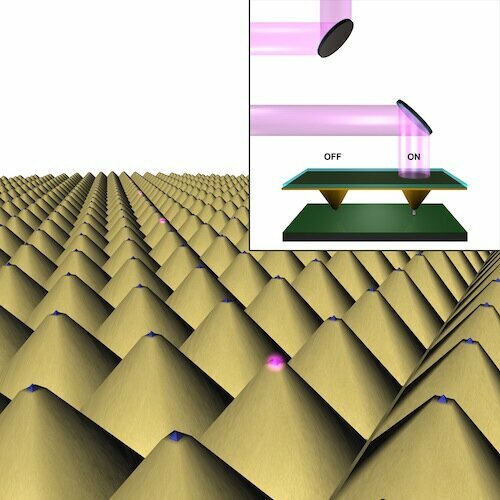 The system is capable of generating up to 5,000 features a second and producing structures as small as 150 nanometers, though refinement of the architecture is expected to get that below 100 nanometers. All of these technologies have the potential to enable great advancements in electronics, nanotechnology, medical diagnostics and treatments, and optics. Our transportation, communication, and energy storage will all be affected. With a few more years of research, more radical areas will be explored, such as gene therapies and bionic enhancements.